STEAMBOAT SPRINGS — A little more than half of the homes in the city of Steamboat Springs — 51.3 percent — are owned by people who live outside of the area, according to the Routt County Assessor’s Office. 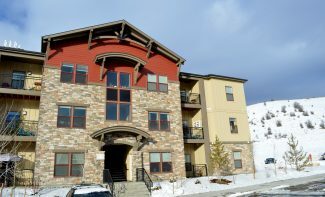 In the county, which includes Steamboat Springs, out-of-towners own about 43.2 percent of the homes, which include condominiums, duplexes, mobile homes and single-family homes. These statistics were compiled in mid-December with the help of Routt County Deputy Assessor Davana Robson at the request of the Steamboat Pilot & Today. Robson said the percentages aren’t an exact science because they include partial ownerships in places like The Steamboat Grand where nonlocals dominate ownership, and the statistics also don’t take into account locals who may own multiple homes. The percentage of homes owned by locals in the city of Steamboat appears to have increased based on a similar article on home ownership that was published in the newspaper in 2000. Back then, assessor records showed that about 54 percent of city homes were owned by those living outside of Routt County, compared to today’s 51.3 percent. Information from the Land Tile Guarantee Company, which tracks home sales, seems to confirm the slight increase in local ownership. About 54 percent of the Steamboat homes sold in 2018 as of mid-December were sold to residents with local addresses. According to Steamboat realtors, one of the more interesting local trends they are seeing is location-neutral workers moving to Steamboat Springs because of low property taxes, good schools and a sense of community — something not seen in many other ski towns. Indeed, it was Steamboat’s sense of community and schools that prompted the Minnig and Ryan families to leave their homes in Chicago and New Jersey and work remotely. “We visited Crested Butte and Telluride, and it was obvious they were very much ski towns, and there wasn’t much going on outside of the mountains,” said Fran Ryan, who moved his family to Steamboat from New Jersey in 2015. He works as an investment advisor and had his original office in Manhattan. “We wanted to make sure there were other things in the community,” Ryan said. “My daughter was doing gymnastics and dance. What if the kids didn’t want to ski? Steamboat was one of the few towns that had it all. The list whittles down really quickly,” he said. The Ryans’ son and daughter are now in fifth and seventh grades and wife, Jessica Ryan, works as a yoga and pilates instructor. The Minnigs live on a little circle of homes off Steamboat Boulevard and made the move to Steamboat last August. “I’ve been coming out to Colorado for a very long time with friends in Eagle, Vail, Denver and Silverthorne … none of those places seemed to be a spot we all liked or a spot to raise kids,” said Scott Minnig, whose children are in second and fourth grades at Strawberry Park Elementary School. Both kids are also members of the Steamboat Springs Winter Sports Club. Scott Minnig had already been video conferencing for several years with clients at his Chicago office so he knew he could work from anywhere. In fact, he was shocked by Steamboat’s internet efficiency. “My internet here is faster and more reliable than Michigan Avenue in downtown Chicago,” Scott said. While missing stores like Target and Costco, the Minnigs said Amazon and low property taxes made the final move even easier. “We had low property taxes for the Chicago area because of the county we were in, but still, we are paying a third of what we used to (in Steamboat),” Scott said. Long-time Steamboat realtor Wayne Ranieri of RE/MAX Partners said he’s also seeing second-home owners make the transition to full-time Steamboat residents, but he also adds that out-of-town homeowners continue to help drive the economy. Ranieri said retirees in Steamboat often get involved in volunteer work and tend to give back more than they receive. Melissa Gibson, who walks people through the buying process at Land Title, couldn’t agree more. David and Beth Foster typify retirees who make Steamboat their second home. Retired for 10 years now out of Chicago, the couple originally bought a condo in 1995 then built a home in 2002 where they host family and friends. “We spend all winter here and usually August and September,” said David Foster. In fact, Beth laughs when first-time visitors ask how they should dress for dinner. “Our favorite reply is ‘clean jeans,’” Beth said. David serves on the Yampa Valley Community Foundation board while Beth works with the foundation’s Women’s Giving Circle. 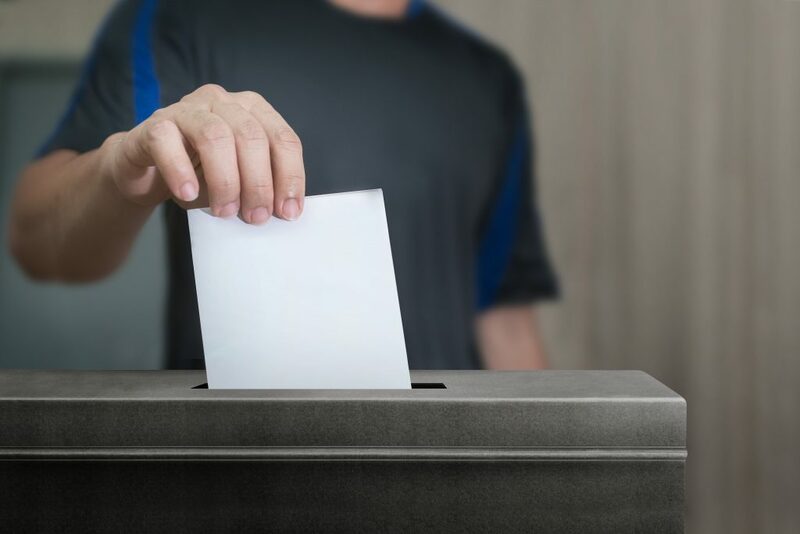 “It gives us a real attachment to the community, and we get to look at a lot of nonprofits and get to understand how they connect to the community,” David said. The Fosters also love skiing with families in the STARS — Steamboat Adaptive Recreational Sports — program, and the couple have hosted one wedding and four family reunions at their Steamboat home. Gibson said the Fosters are the type of “ambassadors” the Yampa Valley appreciates. She adds there’s another upside to second-home owners. “We don’t tax them any higher than ourselves, but their kids aren’t in school and they don’t use as many services,” Gibson said. 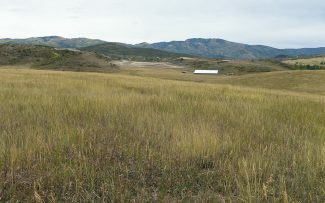 The Pilot & Today also requested ownership statistics from the Assessor’s Office on several subdivisions in West Steamboat, which were developed as locals housing. Of the 399 homes in Heritage Park, Steamboat II and Silver Spur, only 20 are owned by people who lived out of the county. That means 95 percent of the homes on the west side of town are in fact owned by locals. 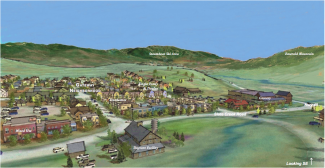 “That’s encouraging as we look at projects like West Steamboat Neighborhoods,” said Wade. He hopes new projects, like Sunlight and Overlook Park, will encourage locals to jump into the market. Fox Springs, breaking ground at U.S. Highway 40 and Hilltop Lane, will be one of those developments restricted to full-time residents interested in a two-bedroom condo with two-car tandem garages. 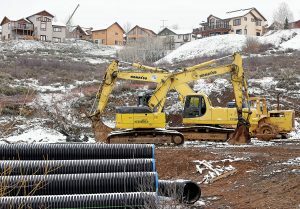 In the meantime, Steamboat Springs City Council voted Tuesday, on first reading, to annex 190 acres for the future West Steamboat Neighborhoods development, which will build about 450 units of housing over 20 years with 158 of the homes being deed-restricted to Routt County residents. While the project will be a market-driven development, it falls in the west end of town and within the city’s long-term growth plan, so Ranieri believes locals are the natural target.